Drought? We had a drought? We had a record setting drought? This summer? You're kidding, right? It sure doesn't look like there was a drought in my garden. 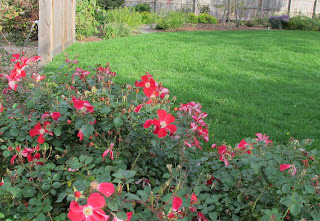 The lawn is green, the roses are blooming again. And it has been raining, quite a bit. 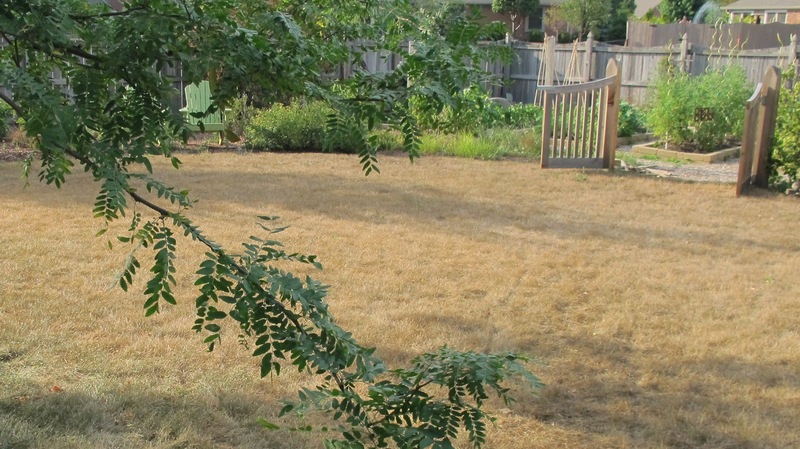 The lawn was an awful khaki tan color toward the end of the drought, and it had that funny smell that lawns have when they are dormant due to lack of rain in the summertime. But the lawn came back with the rains. I knew it would. 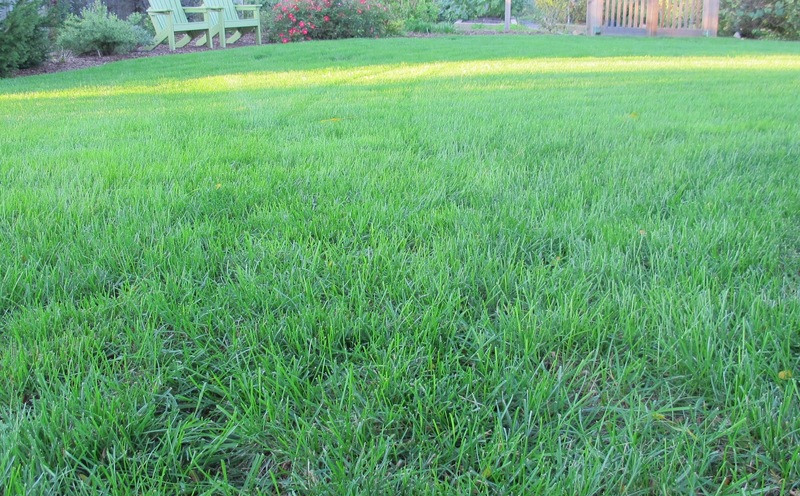 Welcome back, Lawn. You really do add some serenity and peace to my garden. You provide a place to sit, a place to stroll. I could spread out a blanket and have a picnic with you. I'm keeping you, Lawn. You look marvelous. Oh sweet beautiful lawn. 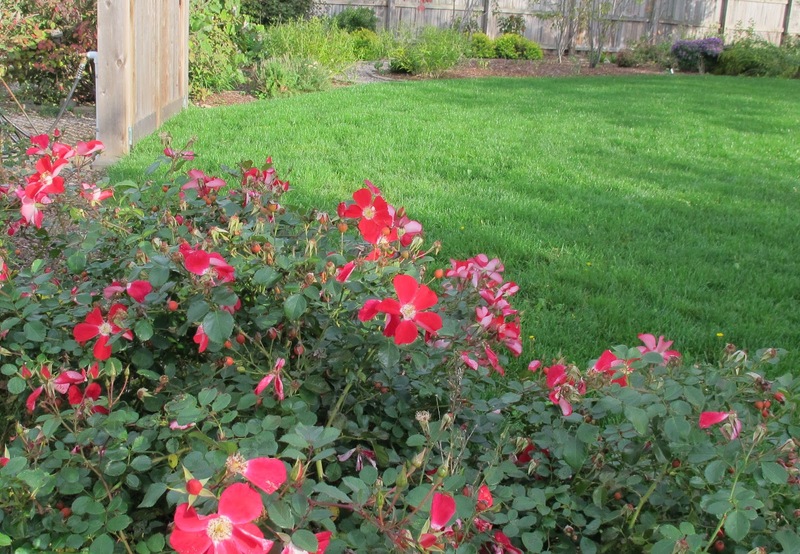 doesn't the condition of a lawn make a massive difference to atmosphere of a garden. ours is D.E.A.D. lack of rain down here in Oz too, i can't wait until the rains come back, your lawn is amazing Carol. Yes, I can see you strolling along behind your mower happy as a clam. Things have greened up here as well. Soil still drier than I would like, though. Wow, what a change in the lawn! Mine was just starting back and then this weekend, I suspect the 28 degree freeze will end the year for the buffalograss. We had rain - and now mowing season is back with a vengence. Looks fantastic, and so do the roses. That's quite an impressive change! The lawn looks great!